After a long absence, banned from competition and deemed unsafe, the Rear Engine Modified Roadster will once again push the limits of the Salt Flats in Bonneville, the fastest track in the world. Legendary car builder Ron Benham built a new 1927 Rear Engine Modified Roadster that has been deemed worthy, reopening the class for competition. Ron has built numerous cars that have placed drivers in the "2-Club". that elite group of less than 550 folks who have set land speed records at over 200 mph. Sadly, Ron Benham passed away in 2009. The Nash Performance Group is now preparing the Benham Roadster for competition and in doing so has tapped the expertise of some true "old salts, men who have spent decades in pursuit of pure speed. This is a story about the return of the rear engine modified roadster in the hands of guys who just thrive on horsepower and speed. They spend untold number of hours in garages pouring all of the years of knowledge into every detail of the car. What's cool is that a hot rod out of garage can still be a record setter. Spending time learning and listening to the older guys that have been on the salt for a lifetime, is cooler yet! 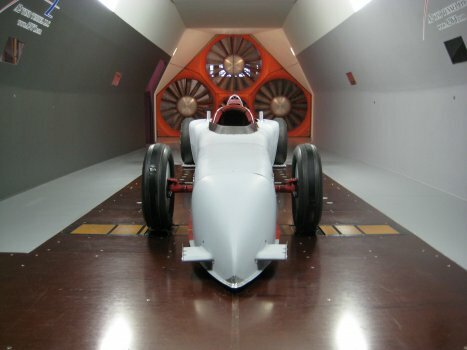 When the roadster first arrived, we scheduled time in the A2 Wind Tunnel down in Mooresville, NC. In order to obtain a speed worthy of entry into the 2-Club, the roadster will have to exceed 240 mph. The 2-Club rules were altered out of fairness for those who set the standard way back in the day. So each category has a minimum speed to obtain for entry. The guys at A2 helped us asses the drag on the car in order to determine the necessary horsepower required for success. Our thanks to A2 for their help and just as a sidebar, you wouldn't believe how cost effective a visit to Mooresville can be! The LS7 engine is now in from Katech, our partners from the Indy Racing League when we ran the Oldsmobile engines and still General Motors go-to shop for performance. Fritz Kayl and the guys have built a real bullet for the roadster that has dyno just south of 700 Horsepower. To say the least, the crew in the shop here is jazzed. As we get closer to the target date of Speedweek in Bonneville, we will update our progress. After a pickup basketball game that left a knee cap in need of repair, Michael had surgery where he acquired a deadly staph infection. 37 surgeries later, Michael's right leg has been removed at the hip. The cocktail of pain medication was so intense, it left Michael useless as a person, a husband, a father. Then he agreed to let his doctor try the Precision Spinal Cord Stimulator. From the moment the device was turn on - Michael has been pain free and drug free. Working with Boston Scientific, Michael and his wife Susy have created the Race Against Pain Campaign as an outreach to others with chronic pain. Michael is rebuilding his life through racing. 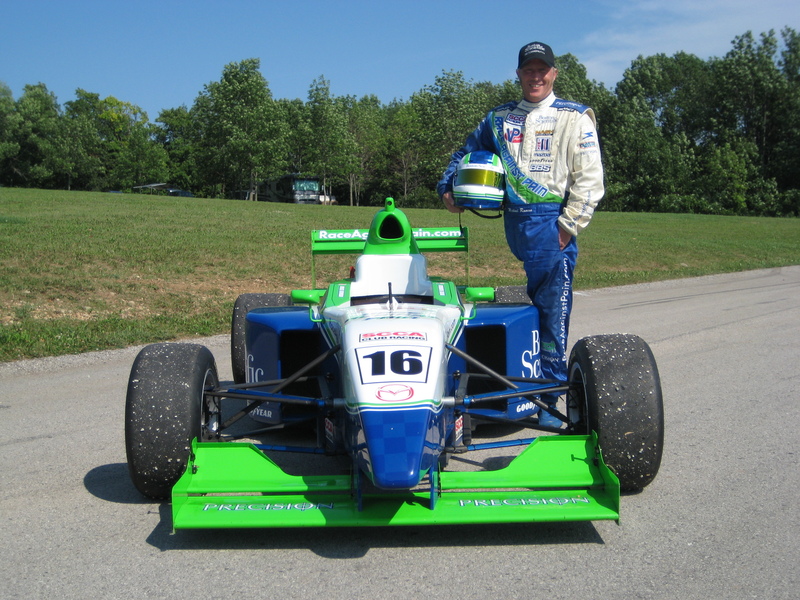 First in a Pro Formula Mazda, the promotional vehicle for the campaign, traveling the country, meeting with doctors and reaching out to patients. Recently he has ventured into Land speed records and is now the holder of several records. The Nash Performance Group was very proud to have worked with Michael, Susy and the team at Boston Scientific in helping Michael pursue his dream of helping others survive chronic pain. A documentary about Michael's race against pain was commissioned during the course of our running. The movie trailer, Racing Roman is now available. To see the trailer click here.